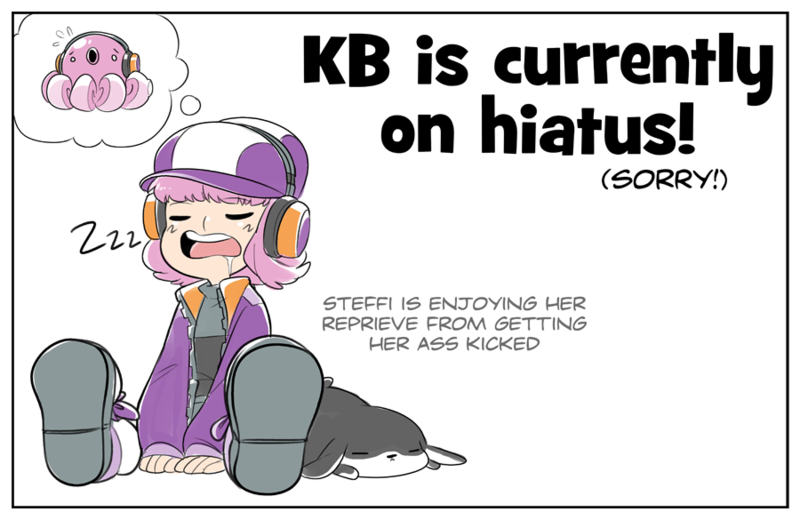 I'm really sorry to do this, but I'm afraid I'm putting KB on hiatus for the next month, possibly two. I've got a big coloring job going on (unfortunately NDA stuff), and while I've been trying to balance it with my KB and SD work, I obviously... haven't been doing great, as you might have noticed from the ridiculous times pages have been going up. But if you're a long time reader, you'll know that KB's gone on hiatus a small number of times, but it always comes back! We're getting into the final stretch, and giving this comic a proper conclusion is incredibly important to me. So don't worry, we'll be back as soon as I can! In the meantime, you can always check out my twitter or the SD discord for relevant updates! 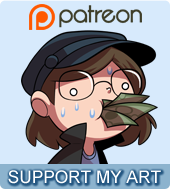 I'm really sorry again for the delay, and thank you all so much for sticking with this comic through thick and thin! It's been almost a decade since it started!!! Utter madness.